I grew up trying to be neutral so seeing this quote was one of a few that completely altered my life’s direction. I enjoy being a positive person, but when being a positive person leads me to avoid taking sides or hiding my true values then I am being an individual who supports our current power structures. Desmond Tutu’s words show us that as our nonprofits, community organizations, and friends increasingly state their desire to be “nonpartisan,” we must remind them that by aiming for neutrality/nonpartisanship they buttress our oppressive systems. Desmond Tutu, one of the world’s leading moral voices and activist for ending institutionalized oppression, saw first-hand in South Africa how being neutral was a partial reason for the continued strength of the apartheid system. Freedom fighters struggled for decades before the international community stepped out of their “neutral policies” and denounced South Africa’s apartheid state. Even then, many nations advocated for gradual reforms from the government, instead of supporting the movement demanding the realization of the Freedom Charter (principles for a new just society) and the overthrow of colonialist institutions. South Africa and the United States reduced their levels of repression only when committed groups and individuals took a strong stand for the values of justice for all people. Most funders, whether from foundations or government, encourage organizations to work within existing power structures, resist groups that are politically active and mobilize against governmental, financial, or cultural systems (even if they clearly perpetuate disenfranchisement). This suppression of activism occurs because funders are already deeply entrenched in current ways of operating. If our groups are operating under the barrier that they must be neutral and avoid confronting our existing institutions of power, then don’t you think they are going to have to keep solving the same symptoms of poverty, educational inequality, and health disparity over and over again? While having a desire for collaboration, consensus, and community is not bad necessarily, we have to keep in mind that these ideals can expand the reach of injustice. For example, dominant male culture promotes the expectation that men should ignore sexism and just accept that “boys will be boys.” This passive bystander approach to sexism, is one of the main contributors to our extremely high rate of sexual violence. By saying one is “not going to take sides” and just remain on the sidelines (e.g. allowing someone to blame the victim), these individuals provide their tacit acceptance. So how we change this culture of neutrality? “The hottest place in Hell is reserved for those who remain neutral in times of great moral conflict…[an individual] who accepts evil without protesting against it is really cooperating with it” – Martin Luther King Jr.
Martin Luther King Jr.’s quote provides another voice that starkly outlines the damage caused by neutrality, but it also leads to one of the primary ways we can build a culture of active response to injustice. Speak out against any and all injustice, both large and small. Whether you witness an act of interpersonal oppression (e.g. homophobic comments) or you see a trend of institutionalized oppression (e.g. the media and politicians correlating those with mental health issues and violence), try to find ways to illuminate darkness. Share the voices of those committed to exposing injustice. If you are not ready to be as vocal as you wish, highlighting the thoughts and actions of those dedicated to denouncing injustice (e.g. Angry Asian Man and Feministing) is a great way to build your own courage (it certainly helped me!). Analyze areas of your organization and life to see where you have remained neutral, in order to decide how you will become active against oppression. 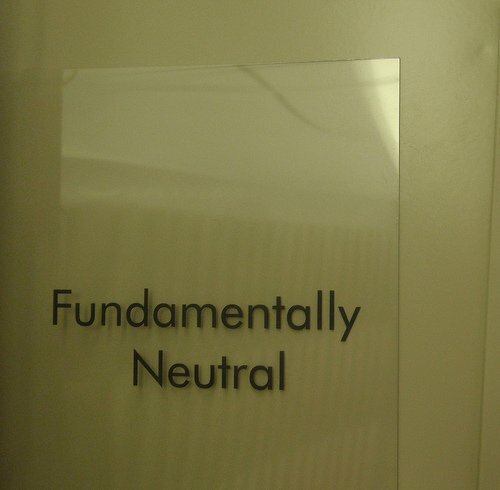 I know I rarely, if at all, thought about where I was neutral since it was so ingrained in my every behavior. Thus, you may need to take a close look at where you are quiet and where you have started to express yourself. Agitate for increasing how your organization (and even yourself) encourages an environment of active responses to injustice. Identity how you can provide training, change policies, and lead by example. Desmond Tutu, Elie Wiesel, Paulo Freire, and Martin Luther King Jr., provide a clear moral and strategic outlook at how we can approach neutrality. Their lives show that taking a stand is challenging, but is essential to dismantling injustice. Luckily, we have the opportunity to learn from their experiences. Have thoughts or examples on other ways to resist neutrality? Post your thoughts on Organizing Change’s Facebook page! How Rinku Sen Successfully Preps Extraordinary Movements that Last Do You Know Your Activist History?